Will and Kate's World: It’s a Little Cold in Here! 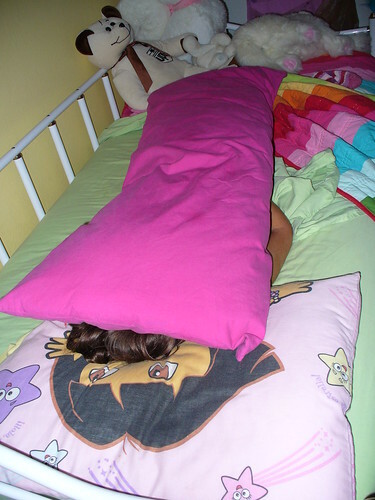 This is how I found Anna one morning. Isabelle was on the trundle bed and I guess when Anna got cold she just used the pillow instead of coming to get me to cover her up.